Collaborator: Daniela Tramontozzi. Photos: Adrià Goula. 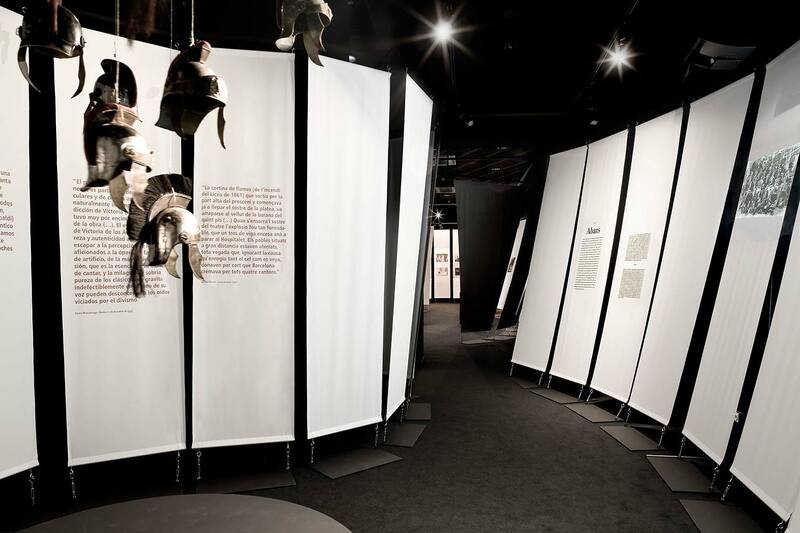 The exhibition is part of the institutional events to commemorate the tenth anniversary of the reconstruction of the Gran Teatre del Liceu. 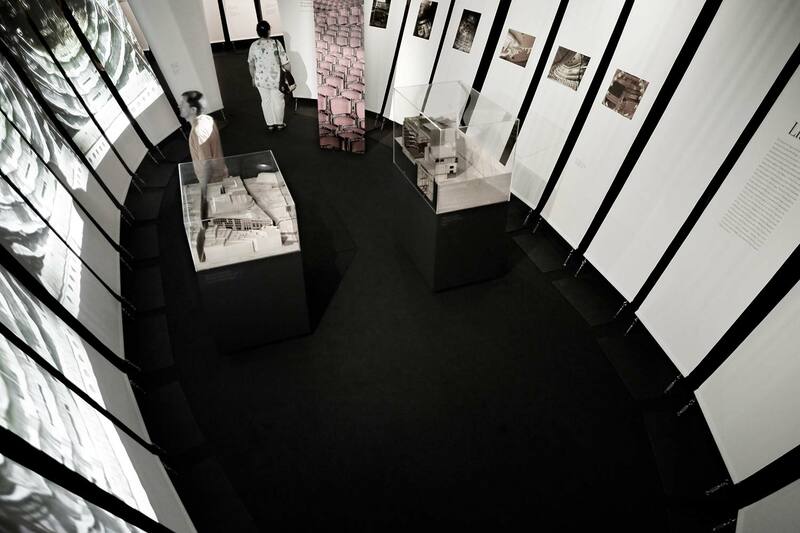 The exhibition is divided into four stages (Before– the years before the fire, Then– the reconstruction, After– the 10 commemorated years and Tomorrow– the future).Each of these stages are located in separate rooms with different configurations. 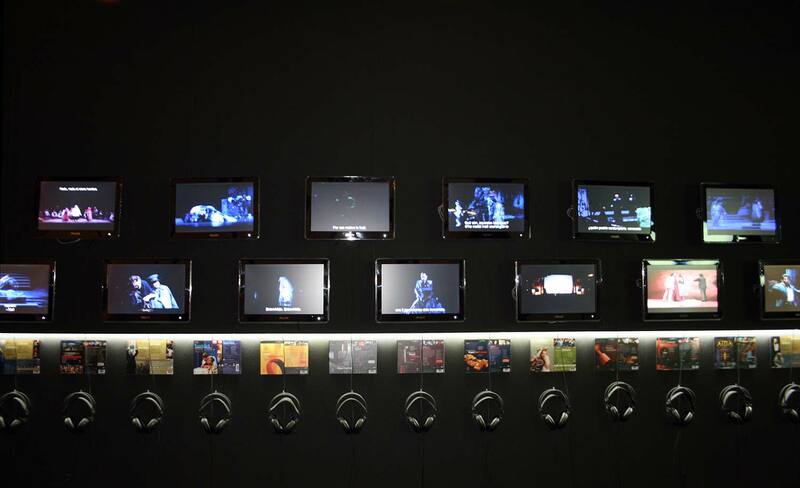 Their hierarchy informs the curatorial motivation, marking two points of higher intensity - the reconstruction of the theatre, as a focal point, and the future (technological) of the institution. 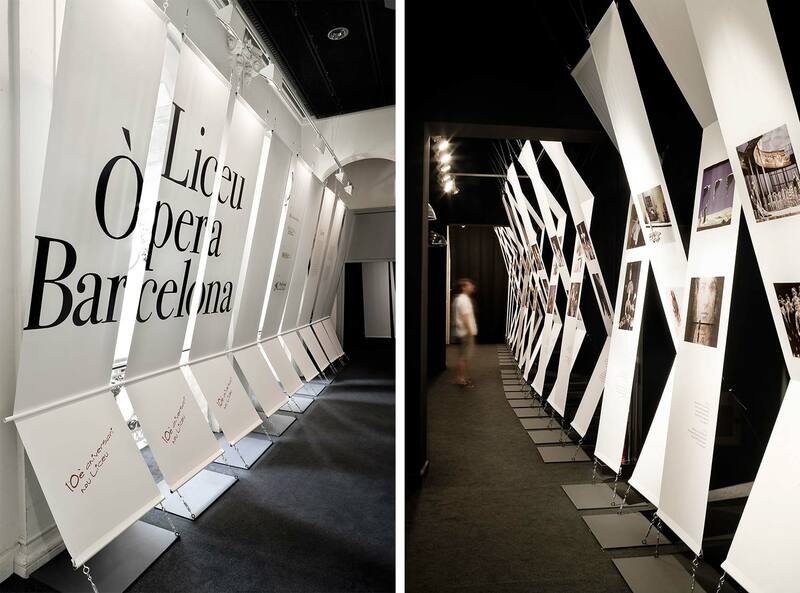 The project is inspired by the aesthetic of the central room of Liceu, and the classic image that it represents - the logo of the institution. 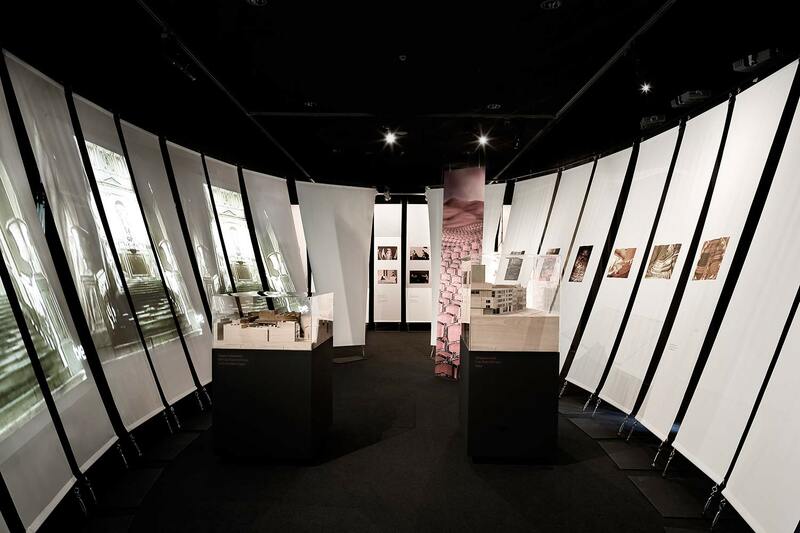 From this arise the first approaches to the language of the exhibition, materializing in ovoid structures that define the four exhibition halls. 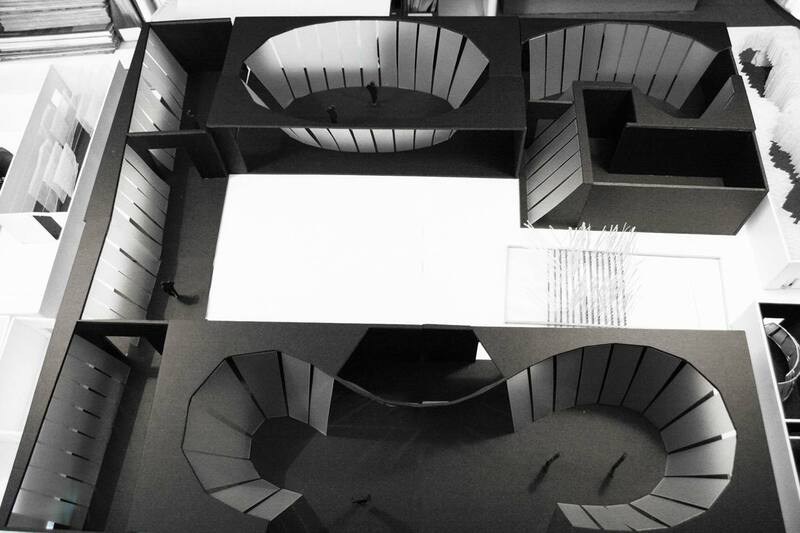 Influenced by geometries found in the sculptures of Richard Serra, the project distinguishes between linear spaces (in the first and third room) and auditorium spaces (second and fourth room). The first rooms facilitate, through their linear geometry, a discourse between chronology and curation, while the latter act as nodal points where the energy is concentrated. The first auditorium acts in a similar way, central and closed, making the visitor feel like part of the reconstruction of the theater. 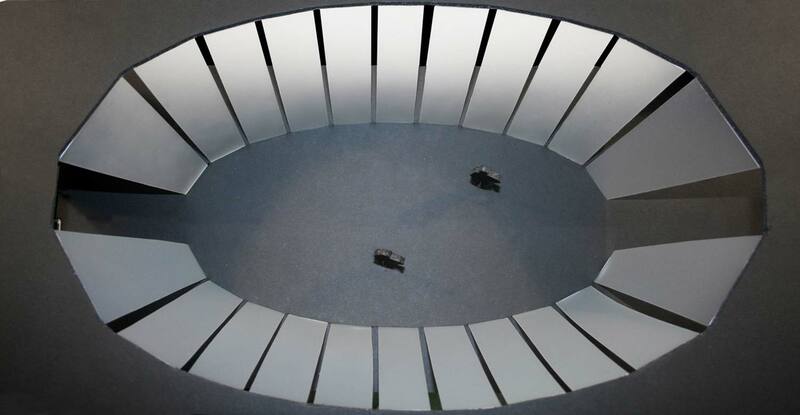 Here, a video showing the large scale reconstruction process is projected into an ovoid space containing models and reproductions of parts of the project. 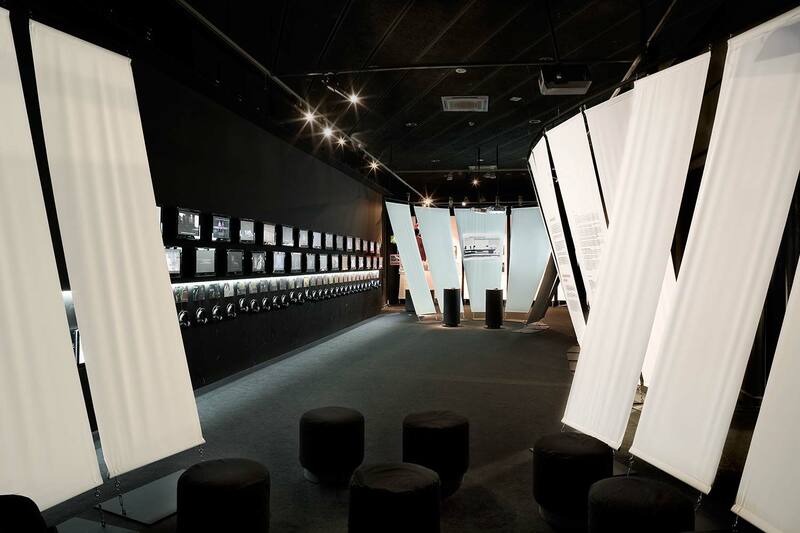 Finally, to conclude the exhibition, the last space is clearly influenced by technology, consisting of two halls exhibiting conflicting technologies which exist within today’s theatre, and the visions of the institution for near and distant future. 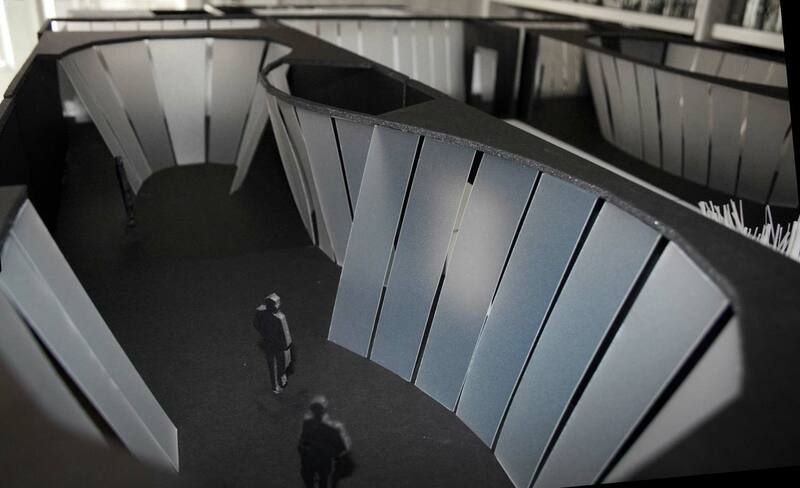 Similarly, the proposed display system maintains a very low cost, but converts the original nonlinear, Cartesian system, into one which is more organic and capable of projecting onto to warped surfaces and generating changing spaces along an extended plane. 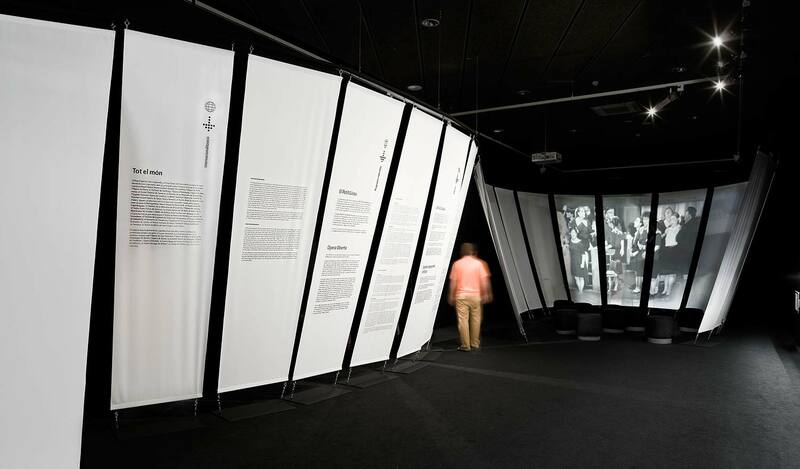 The decision to incorporate the language of the fabrics arose for two reasons: firstly, budgetary constraints and the flexibility to create different spaces in an ever-changing exhibition, and secondly, the need to create a spatial effect on the visitor by fusing content and continent, since most of the material to be displayed in the exhibition was audiovisual designed to large, small and medium scale. 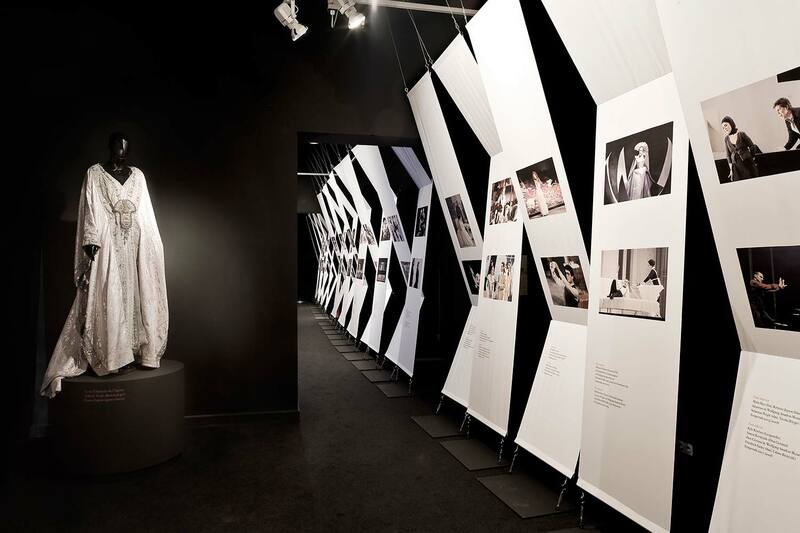 Thus, the aim was to create a space which reflected the excitement and magic of the opera, whilst giving the exhibition a festive, commemorative and contemplative feel.